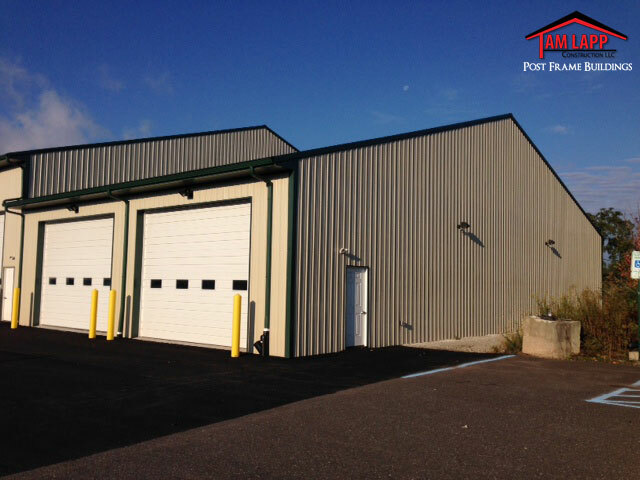 Painted 29 GA. 40 Year Metal Roof and Sides with Trim Package (Rat-Guard Included) Choice of Colors with Painted Screw Fasteners. Overhang boxed-in w/ white vinyl soffit w/ fascia trim: 12” Rear Sidewall / 24” Front Sidewall. R19 Wall Insulation w/White Wall Liner Panel Finish. R30 Ceiling Insulation w/White Ceiling Liner Panel Finish. Entry Doors: (2)- 36” Steel _Panic Bar. 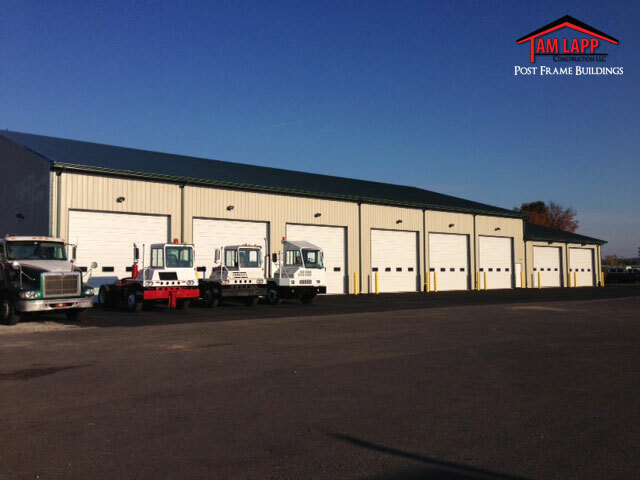 Garage Doors: (6)- 14’x14’ Insulated Commercial Grade_ Hi-Lift Track_ Electric Operators_4 windows each. 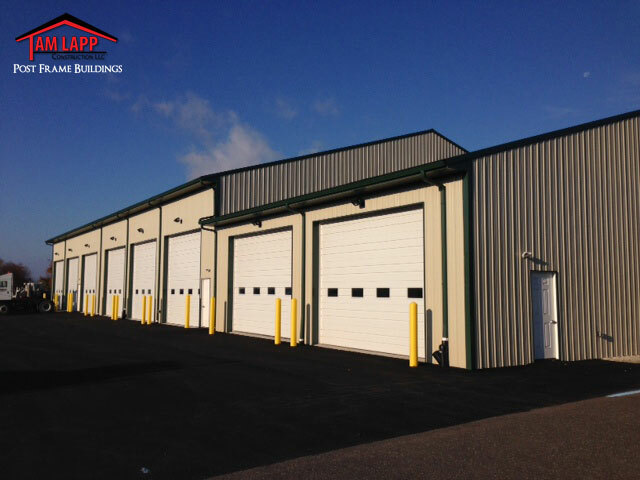 BUILDING SIZE 2: Width: 80 (gable ends) Length: 40 (sidewalls) Height: 14 (ceiling) ATTACHED TO MAIN BUILDING. 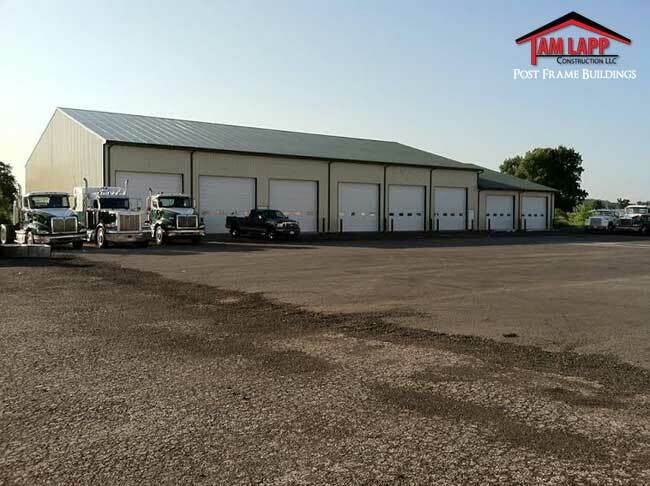 (2) 18’W X 12’H Insulated Garage Door. Electric Operator w/ 4 Remotes_ Interior Finished As Main Building. 12” Rear Sidewall Overhang / 24” Front Sidewall Overhang.